Punjab, the land of five rivers, the boisterous folk music, the energetic ‘Bhangra’ and the never-say-die attitude of its brave men and women, reminds me also of thick creamy lassi, the sweetened buttermilk, the peaceful Gurudwaras and the sumptuous ‘langar’ food! And I have all the reasons to feel happy as I tasted a little bit of everything during my recent trip to Hoshiyarpur and Anandpursahib. 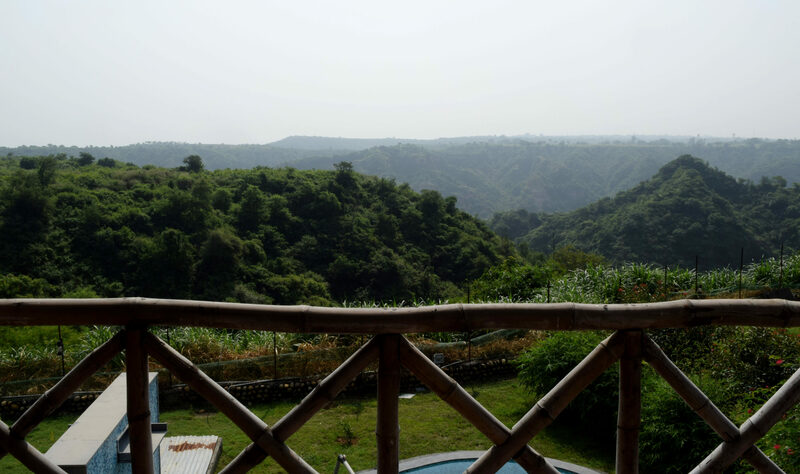 A trip to Punjab also calls for a stay in rustic charm of farmhouses and that is exactly what I did at Gaj Retreat at Garhi Mansowal, Hoshiyarpur. 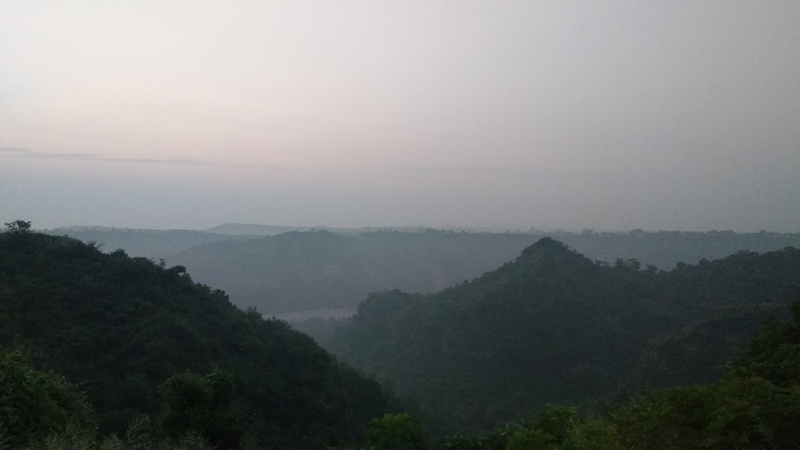 At about two hour drive from Chandigarh, Gaj Retreat, though yet in early stages of its existence, aims to be a sought after eco-luxury resort in coming future. The property located away from the hustle bustle of city has been lovingly conceived as a weekend getaway and is popular among people of nearby areas for hosting marriage celebrations and corporate get-together. The resort is constructed out of locally sourced material like wood logs for parapet railings, river-bed stones for walls and thatched roof that give it a rustic charm of a jungle lodge. 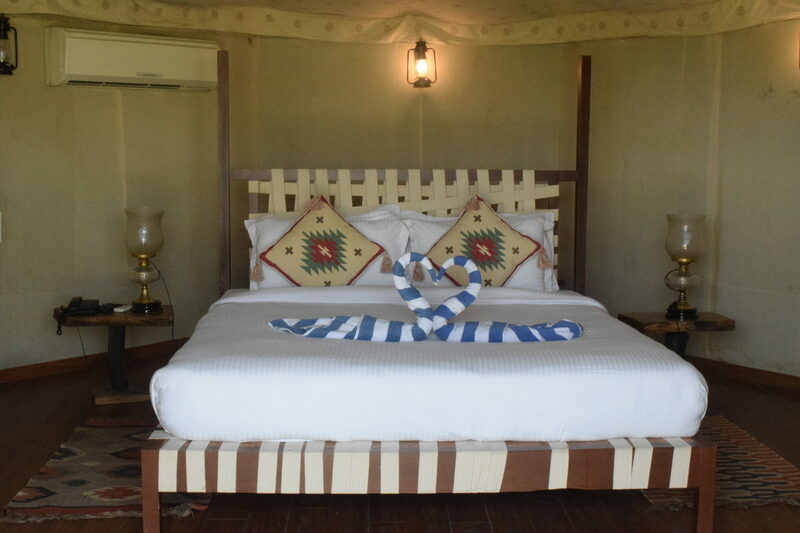 With about 32 comfortable rooms that include suites, tents and family villas ready to host the visitors, the Gaj Retreat plans to expand soon to 70 plus rooms. 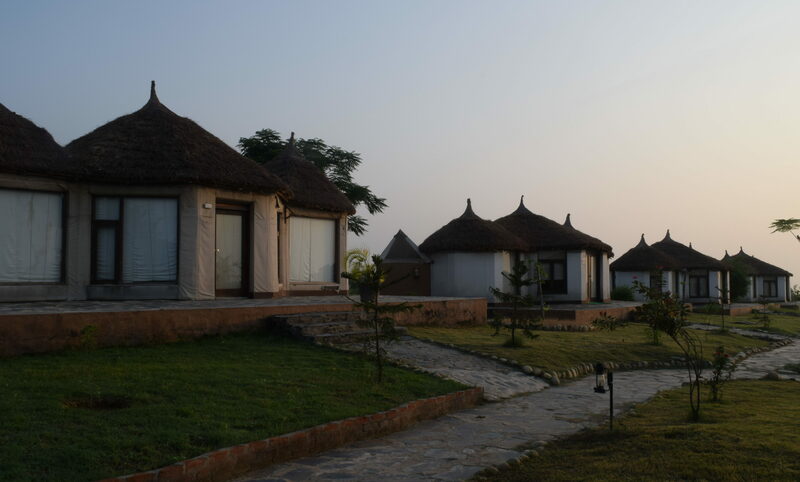 The spacious rooms and tents afford a view of distant hills and forest making waking up early in the morning worthwhile. The rooms and tents work well for a city dweller with well thought of comfortable interiors. There is separate living area and bedroom in family suites and villas. The tents have a seating area as well. The family suites have private pool areas for added leisure. 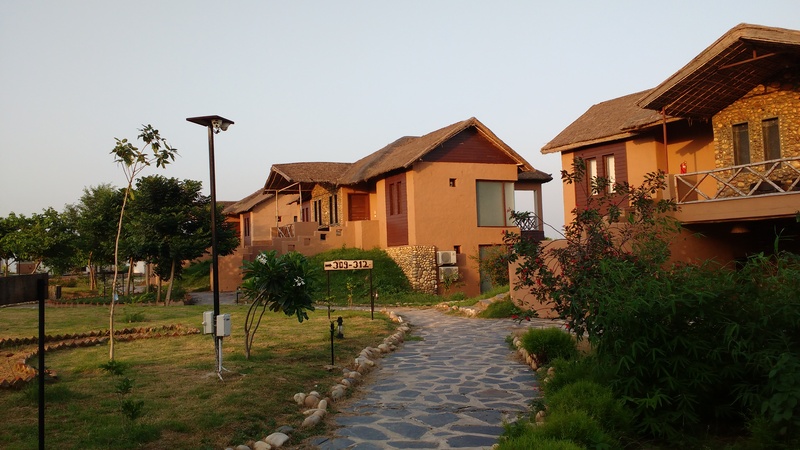 The resort has grand ideas of providing hands-on experiences of village life to the city dwellers who seem to have forgotten what being one with nature is. And hence a visit to potter, farms and buffalo shed is arranged. The resort also provides for night off-roading, dinner by river side and ATV rides. There is facility for indoor games as well. And if nothing, there is always the common swimming pool. 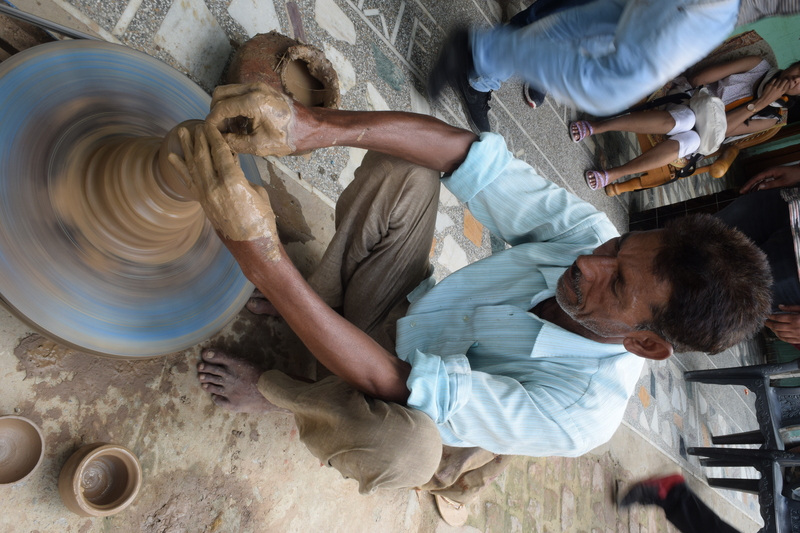 Though I found it tough to handle ATV, but found observing the potter at work quite fascinating. The best thing about the resort is its proximity to historical town of Anandpursahib which has an important and sacred seat of Sikhism at Takht Shri KeshgarhSahib Gurudwara. It is here that the concept of Khalsa took birth. But by the time I reached Gurudwara, sun was high up in the blue sky and yet the white structure exuded peace. The sanctum had a collection of weapons that were used by Guru Gobind Singh in his war against Mughal forces. A short prayer and calm few minutes inside the inner hall of Gurudwara and I was feeling the pangs of hunger. I headed over to the hall where rows of men, women and children sat with folded legs to be served free food, nothing fancy yet satiating. There was no difference of caste, color, status in this home of Lord. We all were equal; beggars of happiness in the court of God. Before I landed in the Gurudwara, I had a little deviation at the other very fascinating structure ‘Virasat-e-Khalsa’. This is a museum like no other not only because the architecture of the complex is very contemporary and different from the other museums but also because of all the museums that I have visited earlier, this one stands out due to the concept and idea of showcasing history of Sikhism. It is well conceived and well maintained. I could not take a complete tour of this magnificent endeavor of Punjab administration and a glimpse into the history left me wanting for more. A trip to Punjab can never be complete without the quintessential shot of ‘sarson ka khet‘, the green yellow mustard fields. I had always wanted to run in gay abandon in mustard field and get a picture. However it was not mustard season yet and I had to make do with emerald paddy fields instead. This trip was organised by Travel Correspondents and Bloggers Group and sponsored by Gaj Retreat. Having been born and brought up in Sri Amritsar, Punjab was, is and will always remain a part of me. Can totally associate with the writer’s experience. Regrettably, I have been taken out of Punjab, but Punjab can never be taken out of me. ——Ravinder Sharma. I think sense of belonging is what keeps love for that place alive. Thank you for reading and appreciating.